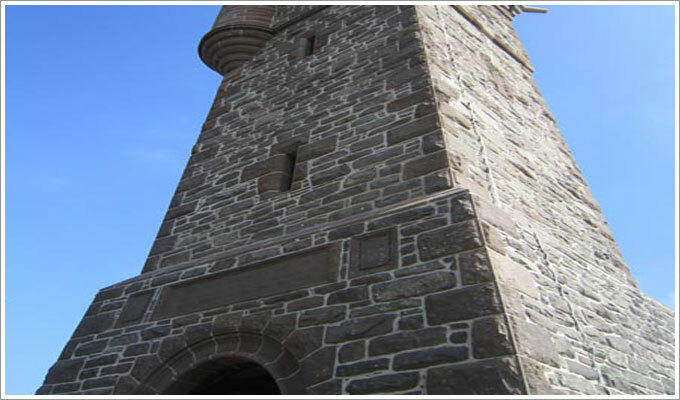 The memorial was built between 1920-1921 in memory of the fallen of the First World War. 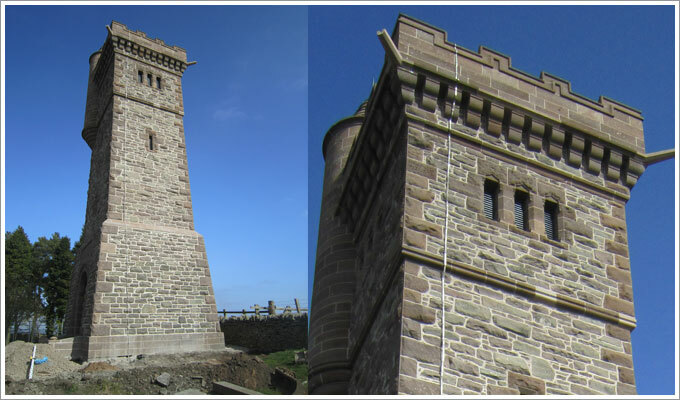 It is a battlemented and turreted tower. 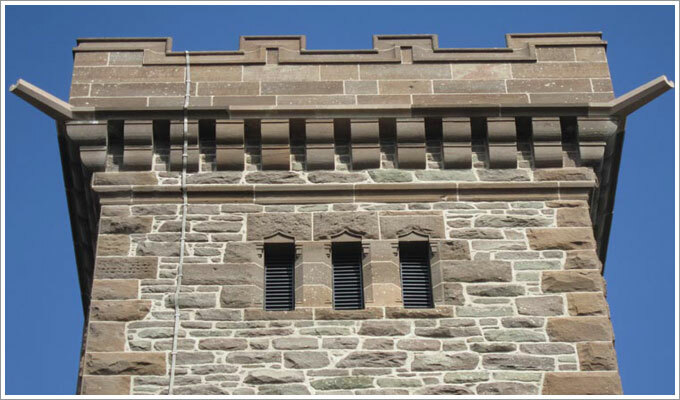 The works undertaken by Gillies & Farrell were 100% re-pointing with traditional lime mortar. The entire structure was grouted with a lime based grout due to large voids uncovered on the removal of the defective cement pointing. 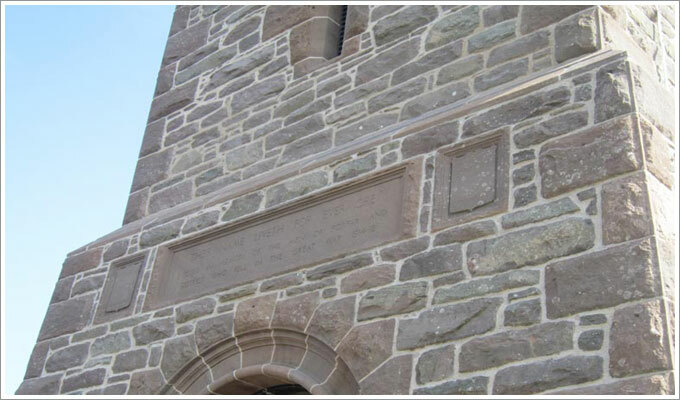 A number of moulded indents were required.